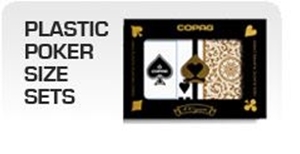 COPAG is one of the world's largest manufacturers of playing cards and the leading manufacturer of high-quality 100% plastic playing cards for casinos and individual card players. Based in Brazil, the company is part of the world-wide Carta Mundi group of companies. The continuous search for excellence in quality products and the quality of life for its employees is confirmed through its Integrated Management System that is ISO 9001:2000, ISO-14001:2004 and SA 8000 certified for social responsibility. COPAG cards have been used in World Series of Poker and World Poker Tour events, and currently are seen by millions in hit televised tournaments such as the Heartland Poker Tour. 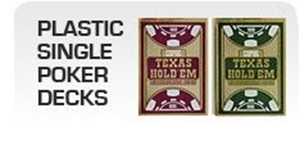 COPAG's ads appear in ESPN and legions of poker players use the company's 100% plastic playing cards at home. A long time supporter of international bridge clubs, COPAG is being discovered by bridge players in the United States.